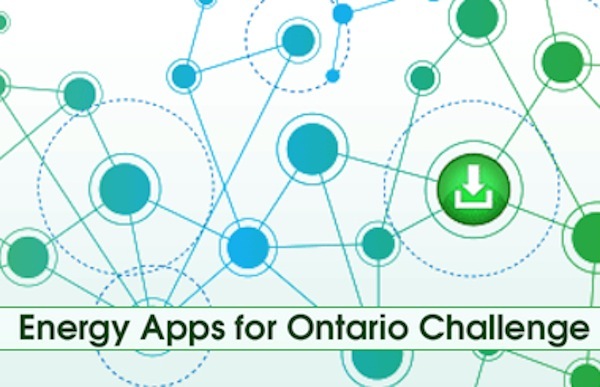 The government of Ontario has announced the six winners of the Energy Apps for Ontario Challenge. The innovative new apps will help Ontario families and businesses better understand and manage their electricity use. Gold Award and People’s Choice: Wattson was the favourite of the judges and online voters. This app provides users with a personal Energy Butler, who tracks electricity use to find savings and shows users how their daily actions affect their overall consumption. Silver Award: Beckon helps users track their electricity use and spending, and allows users to set spending reminders and time-of-use alerts. Bronze Award: Energy Tipper uses creative photos to remind users about time of use pricing. These friendly reminders are a great way for consumers to engage with their energy usage. Best Student App: Wattermelon lets consumers anonymously compare their electricity use with their neighbours. Users can create personal goals and collect points for reducing electricity use. Best App Created Outside of Ontario: UnPlug Stuff helps users find ways to reduce their electricity use by identifying phantom power in their home. Phantom power is electricity used by electronic devices that are plugged in but not in use. The Wattson team created an innovative energy butler, “Wattson”, who caters to homeowners and small businesses by analyzing their electricity use. “Wattson can crunch the numbers and provide Ontarians with easy-to-understand information and visuals gain a better understanding of their electricity consumption,” said the team in a release. Meanwhile Ontario’s Minister of Energy Bob Chiarelli said his government is proud to support the development of new, innovative apps. “I would like to congratulate the winners and all participants in the Energy Apps for Ontario Challenge. These apps will help Ontario households and businesses better understand and manage their electricity use,” he said. The challenge launched on Oct. 1, 2013 and concluded Jan. 21, 2014. In that time it received 27 submissions: 24 from Ontario and three from the United States, while six of the apps were created by university and college students. It was held at the MaRS Discovery District. A panel of industry experts judged and selected the winning apps. Prizes included Gold ($20,000), Silver ($10,000), Bronze ($7,500), Best Student App ($5,000) and Best App Created Outside of Ontario ($5,000). Winning apps may be used as part of an upcoming pilot with London Hydro and Hydro One later this year. This testing phase will allow participating customers to automatically connect their data with Green Button apps. The Green Button Initiative is an intiative supported both by Barack Obama as well as the government of Ontario. It provides consumers with easier access to their own electricity data, allowing them to securely share their data with mobile and web-based apps.